Each PROFORM Grade 8 Header Bolt is permanently assembled with a pair of special washers. When the bolt is torqued to 28+ ft-lbs, the washers super-hardened external teeth bite into and grip the bottom of the bolt head and the top surface of the header. 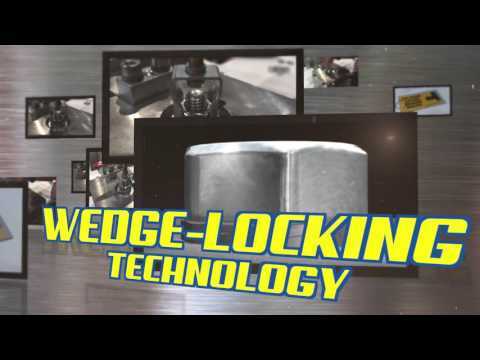 After being self-locked in this manner, any bolt-loosening rotation is blocked by a wedge-locking action created by the washers interfacing, matching cams. Its an uphill climb: vibration that might ordinarily loosen the bolt actually increases the wedge-locking tension, securing the bolt even more. Because this simple wedge-locking method uses tension instead of friction, contact with oil actually facilitates the wedge effect. When changing headers, PROFORM Header Bolts can be untightened with a normal wrench, lubricated, and reused. Each PROFORM Grade 8 Header Bolt is permanently assembled with a pair of special washers.